Plug-in to listen at home, or add batteries to listen on-the-go. With a classic wooden cabinet design this Bush DAB radio adds a retro feel to any living space. It has clear sound and display, so it's easy to see which station you're tuned into. Listen to DAB or FM radio and select from 20 radio pre-sets. 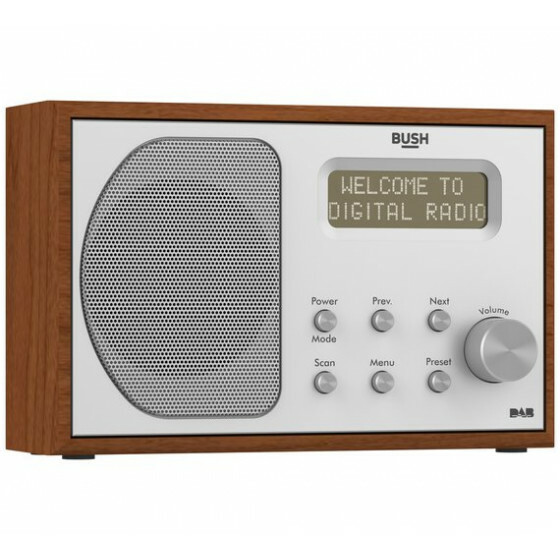 The features you need from a radio with a lovely wooden cabinet and small footprint.